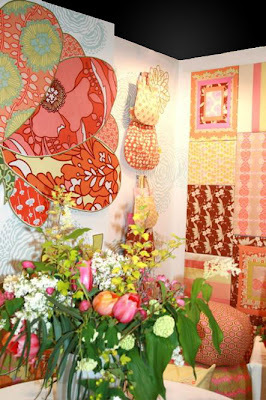 Amy Butler's booth at the Spring quilt show, isn't it beautiful? My mind is reeling with the possibilities of these new fabrics. ooooh. That is inspiring. Thanks for the photo.